We were primarily interested in the new Vega 20 GPU from AMD during our upcoming review update of the Apple MacBook Pro 15, but our test model is also equipped with the optional Core i9 processor we did not review before. 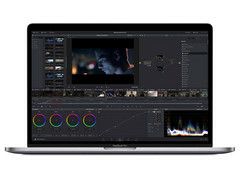 After the launch in mid 2018, there were numerous reports about Apple users disappointed by the low performance of the Core i9. We initially had problems with the Core i7 as well, but Apple eventually improved the situation with comprehensive software updates. We were obviously eager to find out how the Core i9 in the MacBook Pro 15 performs after the updates and whether the additional charge of $300 or $400 (depending on the base configuration), respectively, is worth paying. The answer is definitely no, because the expensive Core i9 only has a small advantage in single-core scenarios thanks to its higher Turbo clock (even though it does not reach the max. 4.8 GHz, either). Once you start to stress more cores, however, the Core i9-8950HK is slower than the Core i7-8850H, even during the first Cinebench run. The average result during our CB R15 Multi loop is 1007 points, while the Core i7 manages 1031 points on average. This means you pay a high premium for effectively less performance. 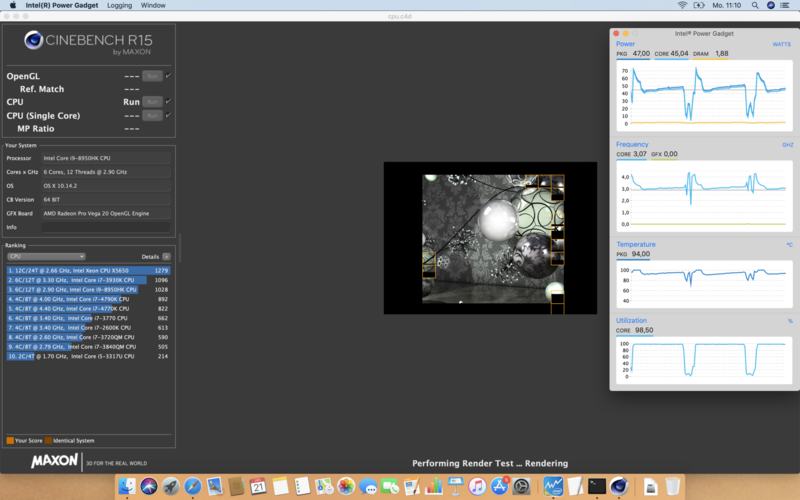 We had a closer look at the behavior of the processor during the Cinebench loop. The consumption jumps up to 90 Watts at the beginning, but immediately levels off at 47-52W. This is enough for a clock of 6x 3.0-3.2 GHz – pretty far away from the maximum 4.3 GHz (for all six cores). It is not surprising that mobile chips cannot sustain their maximum Turbo clocks, but the Core i9 in the MacBook Pro 15 is operating just barely above its base frequency of 2.9 GHz. You obviously have to consider the current development of mobile processors, because Intel increased the number of cores, but without significant efficiency improvements. The cooling solution of the MacBook Pro (which is around for a few years) was designed for 45W quad-cores and after our tests we can say that the cooling can handle about 50W. The new Intel 6-core CPUs consume much more power at high clocks and therefore produce more heat, which cannot be dissipated by the cooling. Still, we have to criticize Apple for even offering the i9 in the MBP 15. The manufacturer certainly noticed that the i9 only has a small performance advantage in certain scenarios during testing. If you expect more performance, especially when the tasks takes longer than a couple of seconds (the device is targeted at pro users after all), you will be disappointed by the i9. 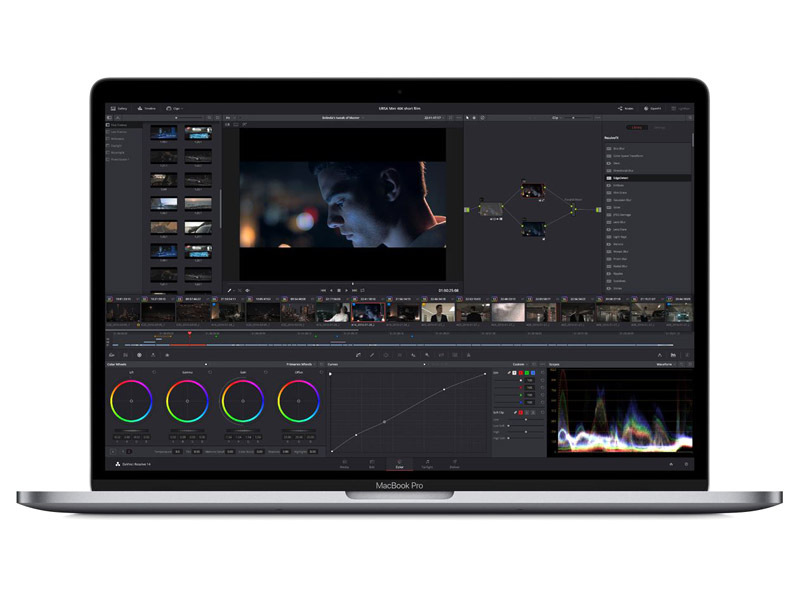 > Notebook / Laptop Reviews and News > News > News Archive > Newsarchive 2019 01 > Apple MacBook Pro 15 – Core i9 slower than Core i7!